It’s no secret we’ve been big supporters of Tony Hawks Pro Skater HD. In fact, it hit our XBLA’s Most Wanted well before it was announced. We awarded Tony Hawk’s Pro Skater HD in our Best of E3 highlighting the nostalgic feelings that made us wish we were back in school playing with a bunch of friends. But the game has more going for it than just fond memories, Robomodo has taken the pieces that fans loved from the original two games and rebuilt them from the ground up in a way that shreds even our most nostalgic expectations. The game looks and plays better than we remembered. 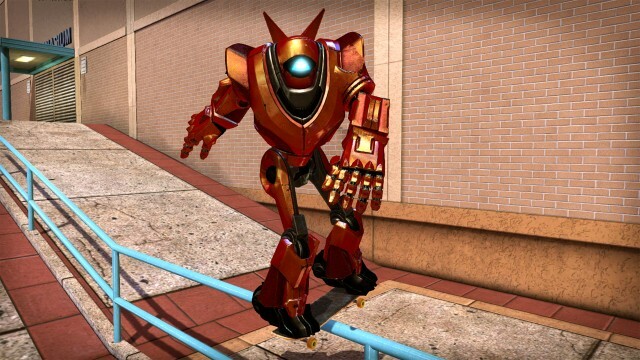 In the tradition of Tony Hawk, Robomodo has brought back some of the greatest skateboarders of all time along with a few unique, unlockable characters. They’ve teased Ollie the Magic Bum on Facebook, but today we are pleased to announce Roberta the Robomodo Mascot will be playable. There is just something special about grinding up a school as a giant robot. Tony Hawk’s Pro Skater HD will release on July 18th for 1200 MSP as part of the 2012 Summer of Arcade. 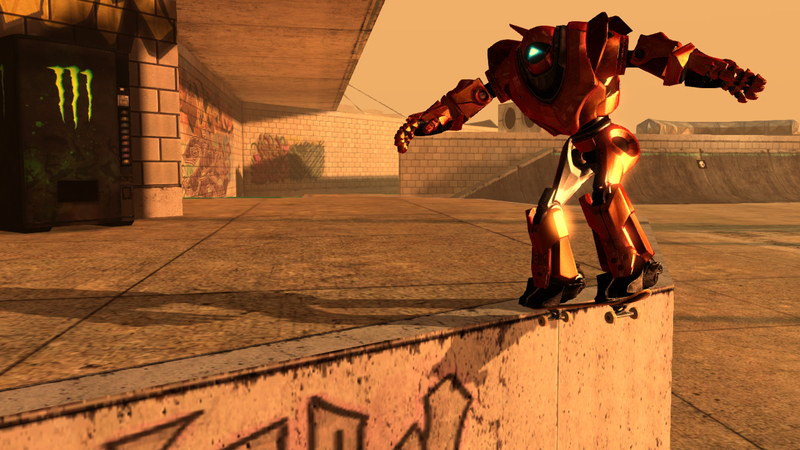 Robomodo and Activision plan to continue to support the game after release with the first planned DLC coming from Tony Hawk’s Pro Skater 3. Excuse us, as we will be listening to Superman on loop for the next month in preparation. Let us know what your favorite classic Tony Hawk skater was in the comments below. What level needs to be Tony Hawk DLC?